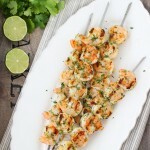 Juicy Cilantro and Lime grilled shrimp kebabs have the perfect tropical, summer taste and the creamy avocado dipping sauce is so rich, fresh and delicious. 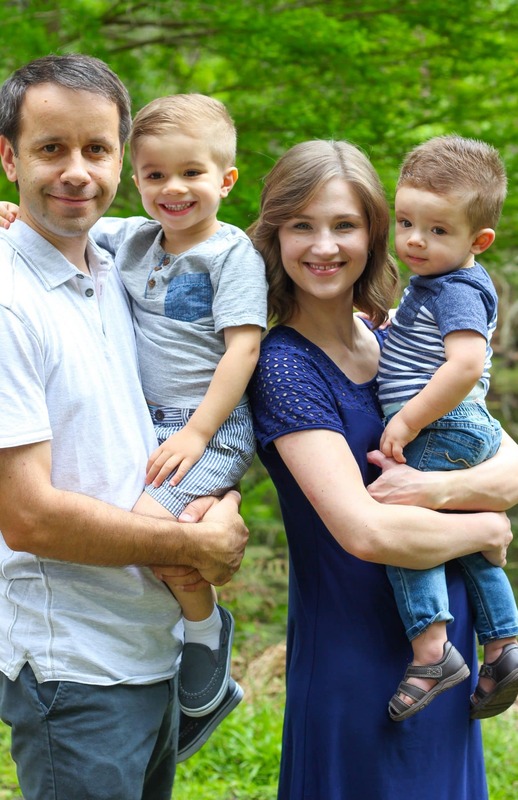 If you live in the United States, I hope you had a wonderful time celebrating Independence Day on the Fourth. Summer celebrations are almost synonymous with grilling, and this year, we were having a really relaxing day, (and hiding inside from the heat) so we decided to make Grilled Shrimp Kebabs. 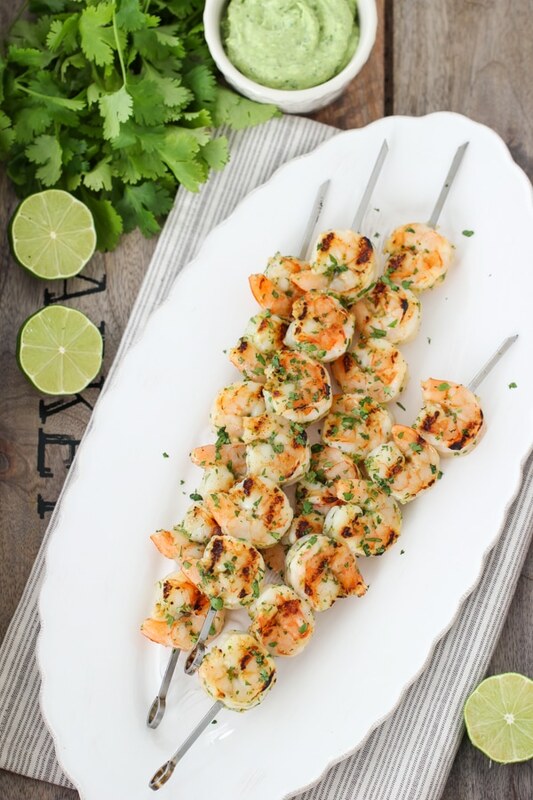 Shrimp takes less than 10 minutes to grill, it tastes so fresh and light, snazzed up with a Cilantro Lime marinade. 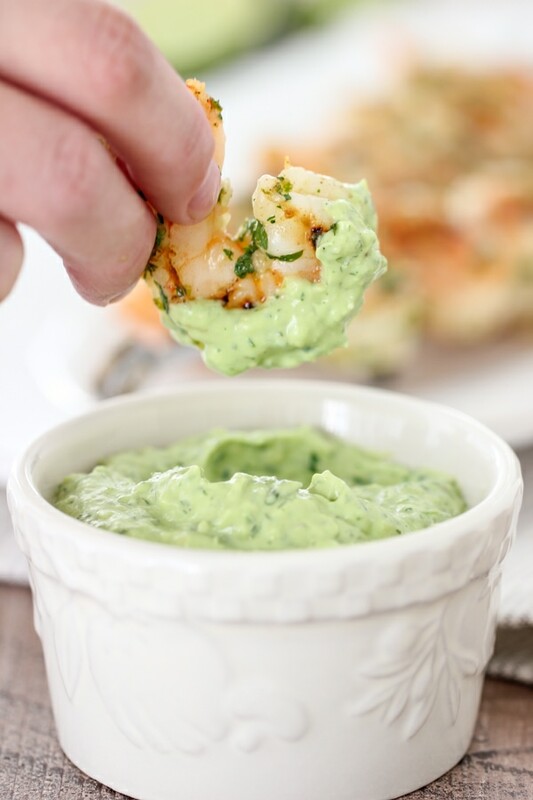 The Creamy Avocado Dipping Sauce deserves a standing ovation – it’s so YUMMY. I really hope you give it a try. 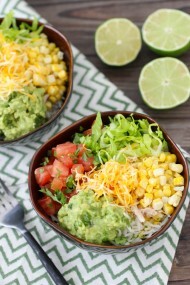 It would go so well with tons of other dishes – fish, chicken, tacos, salads, or as a dip for fresh sliced veggies. 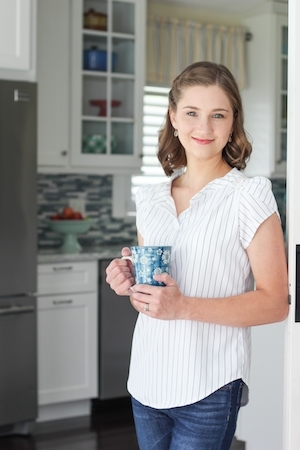 Preheat the grill to high heat, for at least 15 minutes. 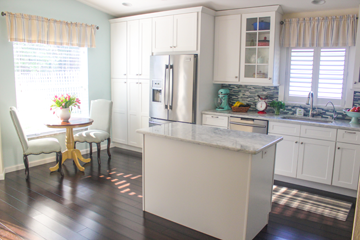 Rub the grates with a paper towel soaked in oil several times. Peel the shrimp and pat it dry. 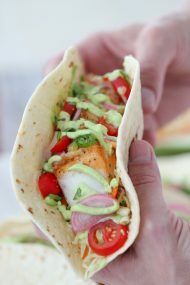 Place it into a bowl with the olive oil all the ingredients – olive oil, lime juice, lime zest, garlic, salt, pepper, sugar and cilantro. Mix to combine. 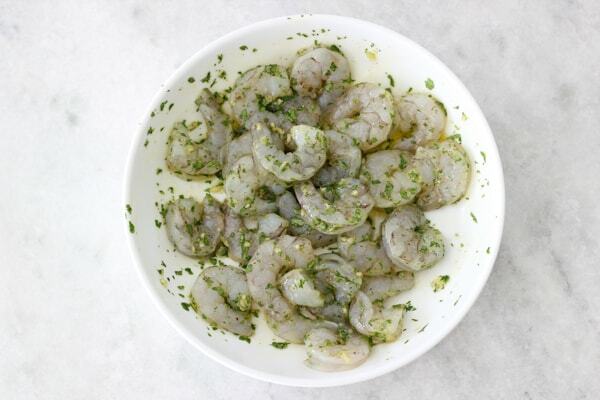 If you want to marinated the shrimp in advance, you can set aside to marinate up to 30 minutes at room temperature, or up to 24 hours in the refrigerator. Otherwise, thread the shrimp on skewers. 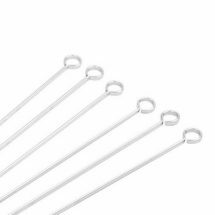 I use these 12 inch metal skewers and I was able to get 4 kebabs. 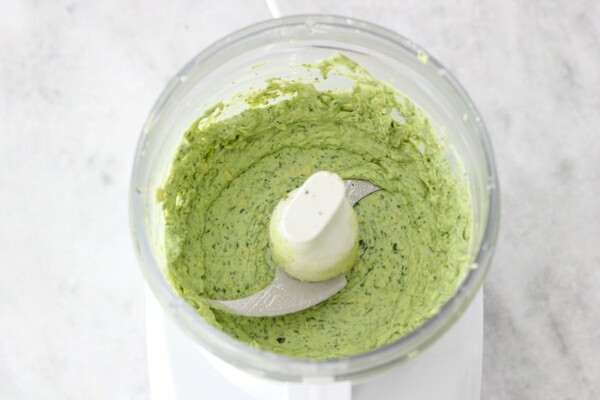 While the grill is preheating, make the avocado dipping sauce by combining all the ingredients in the food processor or blender and pulsing a few times until it is as smooth as you like it. Season it to taste with salt and ground black pepper. 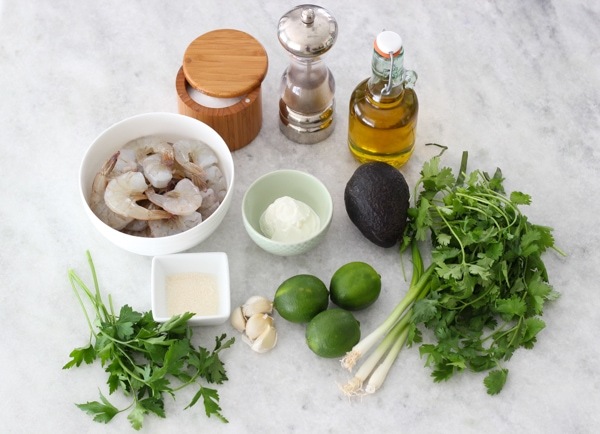 You can eat the shrimp by dipping it in the avocado sauce, or thin it out with more lime juice or more sour cream and drizzling it over the shrimp, like a dressing. I don’t like the sauce to be too “garlicky”, so instead of mincing the garlic, I smash it with the back of a knife, place it into the sauce and let it sit there while the shrimp is grilling. 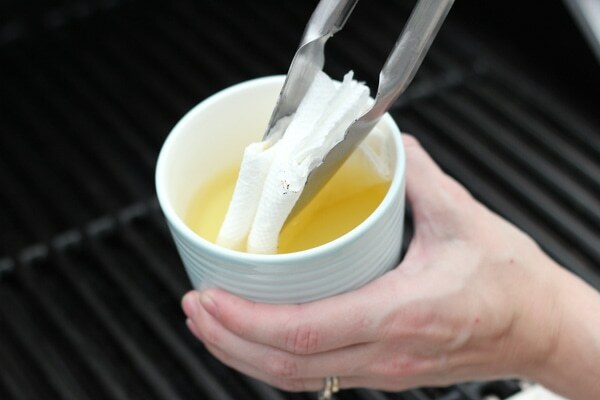 I then take out and discard the garlic clove before serving it. That way, the sauce will have a nice, mild garlic flavor but won’t be too overpowering. 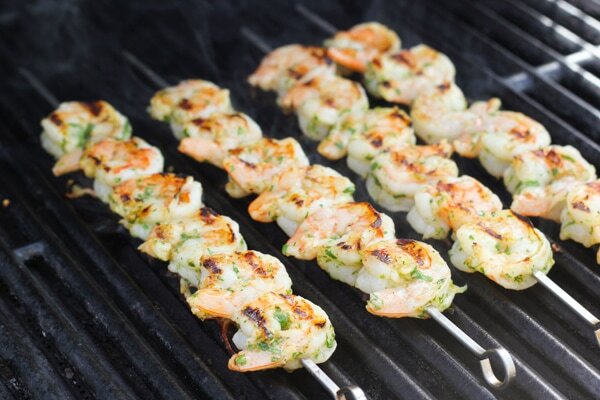 Place the shrimp on the preheated grill and grill until you have nicely charred grill marks, 4-5 minutes, flip them onto the other side and only grill for another 1-2 minutes. 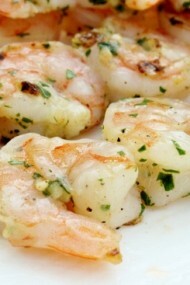 Shrimp cooks SO fast, so don’t be tempted to cook it longer, or the shrimp will be rubbery and dry. 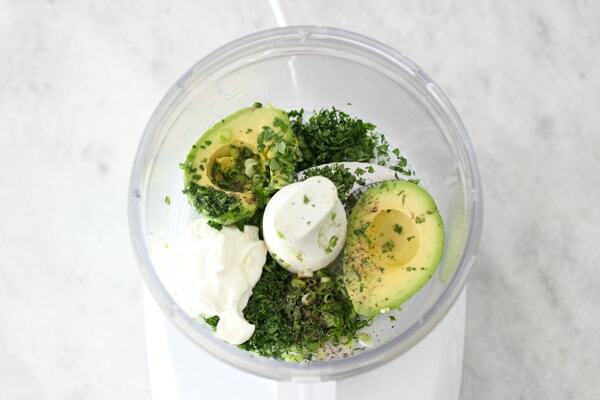 Serve with the Creamy Avocado Sauce. 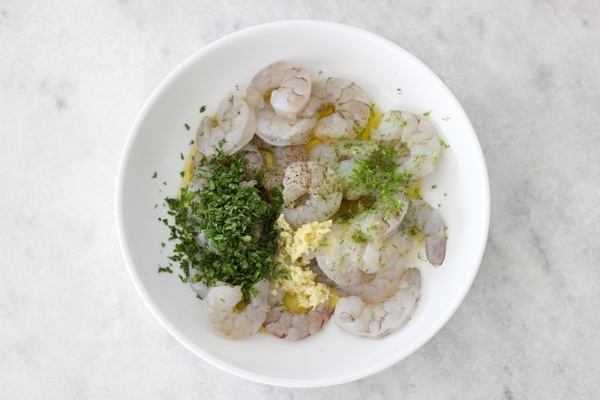 You can eat the shrimp by dipping it in the avocado sauce, or thin it out with more lime juice or more sour cream and drizzling it over the shrimp, like a dressing. 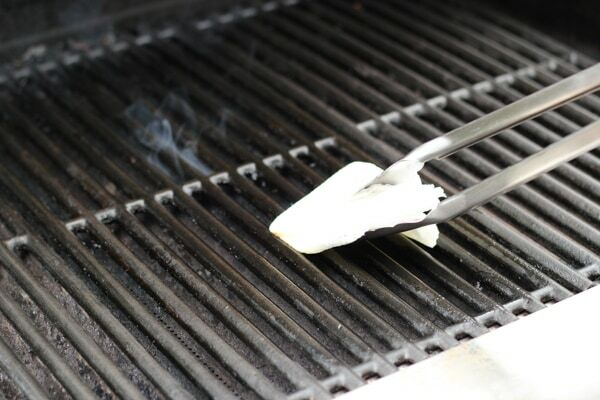 I don’t like the sauce to be too “garlicky”, so instead of mincing the garlic, I smash it with the back of a knife, place it into the sauce and let it sit there while the shrimp is grilling. I then take out and discard the garlic clove before serving it. That way, the sauce will have a nice, mild garlic flavor but won’t be too overpowering. 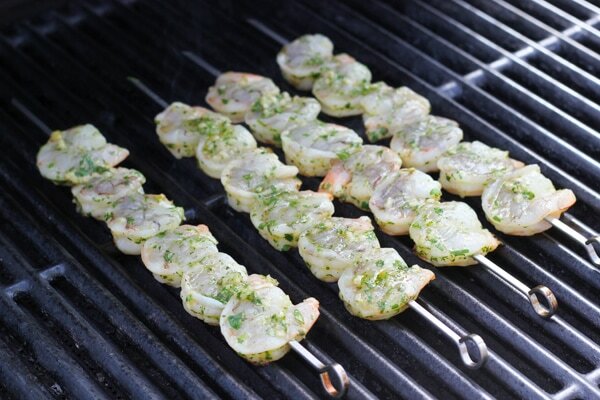 Place the shrimp on the preheated grill and grill until you have nicely charred grill marks, 4-5 minutes, flip them onto the other side and only grill for another 1-2 minutes. 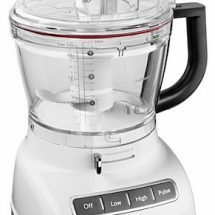 Shrimp cooks SO fast, so don’t be tempted to cook it longer, or the shrimp will be rubbery and dry. my neighbor shared some limes with us and I was wondering how to use them, this will be a perfect recipe! What an awesome neighbor to have:). I hope you enjoy this meal, Nat.